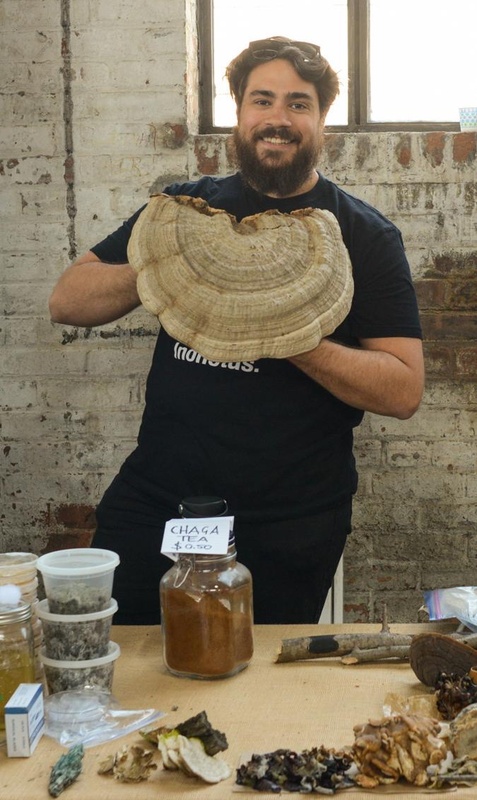 Join Newtown Creek Alliance and instructor Craig Trester for an introductory workshop on Mycology. Fungi are the keystone species that interconnect every facet of life in our world. This class will highlight the supreme influence these ancient and often overlooked organisms have upon our health, society, and environment and also provide a succinct peek into the Fungal Queendom from the perspectives of ecology, anthropology, pharmacology, and bioremediation. The class also features a workshop component that teaches attendees how to perform low tech and low cost mushroom cultivation techniques that can be replicated at home with upcycled materials. The event will begin with a tour of the Kingsland Wildflowers green roof. Space is limited, RSVP here. Craig M. Trester is a citizen scientist whose focus lies in the field of mycology, applying biomimicry and permaculture principles to develop regenerative solutions for a future which faces many challenges. By studying Fungi, he believes novel approaches towards alternative agriculture, pharmacology, and bioremediation can be realized. Outside of the lab Craig is the sole proprietor of MYC.NYC, an applied mycology educational resource based in New York City that teaches the benefits Fungi provide to our health, environment, and society to audiences on academic, research, community, and private levels.